It is always a very special experience for me to hear of pilgrims stories – the WHY’s, WHAT’s, WHEN & HOW’s of their Camino Journey. I am always touched, moved and grateful for the sharing that occurs as it is inspiring and continually transformational. It was a wonderful surprise to receive Beata Moritz’s email as I had been meaning to email those involved in the Rexistro 108 Vilei Global Pilgrims Photography & Video Project. For German and I this is a fun experience inspired by his creating the photography project in August 2011. We when time permits take pictures and video at his families historic 150 + year old country house located 108 KM to Santiago de Compostela. But as “synchronicity” and luck would have it I emailed Grazyna Boszko, Beata’s mother, on just the right day for Beata was traveling to Santiago 4 days later, June 5, and would arrive when we were setting up the exhibition in the Parador and participating as the inauguration event for the 1st Camino Film & Television Festival. 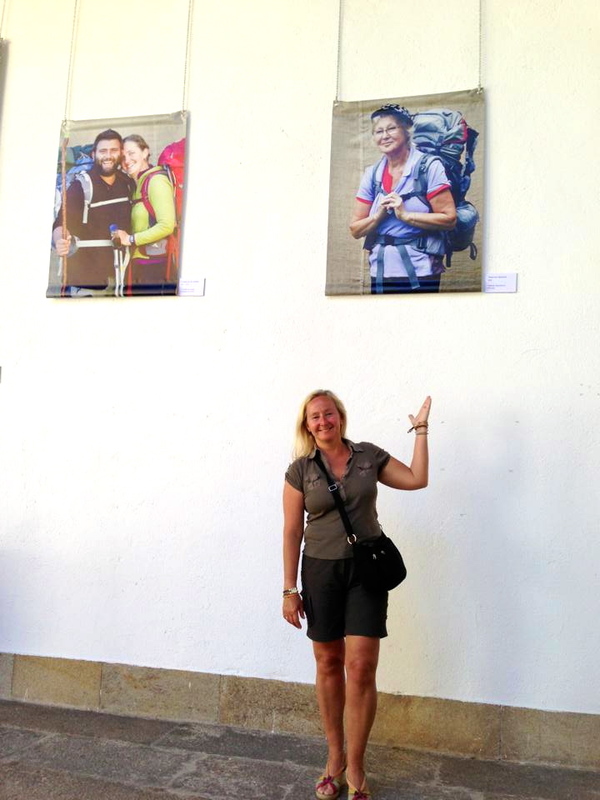 We loved receiving Beata’s email with the story and pictures of their Camino. We enjoy seeing the pilgrims in their everyday lives and the pictures in the Camino. It is wonderful to see the combination and also to hear how again and again the Camino calls to ALL. It is truly something that transforms and keeps you wanting to return again and again for another Camino Journey Experience! Wishing Beata all the best as she plans her next Camino – Two this year – so very special! Thank you Grazyna and Beata for sharing with us your story and some of your pictures. 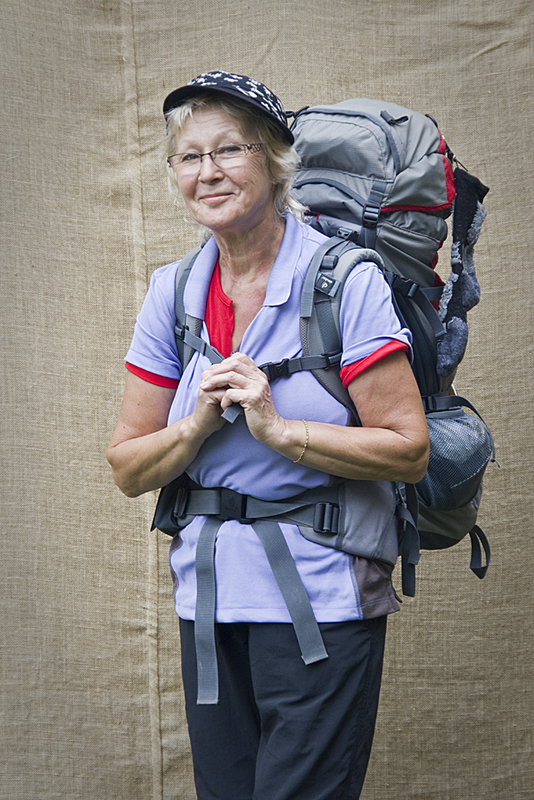 My name is Beata and I went the camino last year with my mum. Her name is Grazyna Boszko , she is 63 years old. My mum lives in Poland in the city Makow Mazowiecki ( I live in Germany with my husband and son 10 j). You make a picture of me to! We started the camino sant jean pied de port. Experiences: my mum have from logrono to Santiago shiver on the whole body when she prayed to the st. Jacobus and the shiver was the answer! I attached pictures of my mum and me and my family . We walk the way every year.we love Spain , the Spanish people , the camino!!!! Everybody say: ” if you want to go the camino- you recived what you need ( want!)”!!! It is TRUTH!!! You send the mail to me today and I fly to Santiago on 5.6.13. ! Next week!!! And your photography exhibition is in parador on 5.6.! It’s perfect! I have a Facebook site : Beata Moritz ( krefeld/maków Mazowiecki ).please send me a picture of me . This entry was posted in Camino Inspirations!, Camino Stories & Syncronicities and tagged camino, Camino Gratitude, Camino Stories, Camino Synchronicities, exhibitions, Inspiration, photography, spirituality, Synchronicity, traditions. Bookmark the permalink.